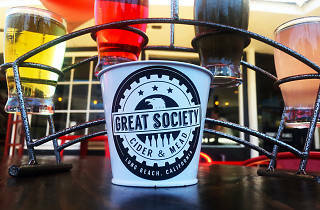 This Long Beach restaurant and bar claims the title of "the first all-cider pub in So Cal"—they've been putting cider first, first (or at least long before it became trendy). 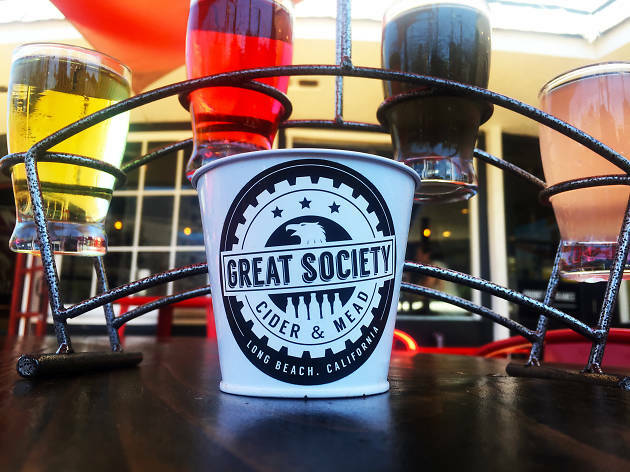 Find lengthy, ever-changing lists of ciders and meads, many made locally, as well as a food menu that incorporates the beverages into its dishes. In 2018, expect the team to start brewing their own cider onsite. This place has the friendliest staff in the entire world. We were immediately greeted by two employees right when we walked in and the impeccable customer service never ceased during our entire visit. I ordered the veggie omelette with feta and it was delicious! I normally put Tabasco on everything, but this food had so much flavor it didn't need any help from hot sauce. The potatoes were flavorful and the ketchup had some delicious spice (possibly jerk seasoning) in it. Hubby had the breakfast BLT and he licked his plate clean! We ordered the bottomless cidermosas for $12 and our glasses were never left empty. My only complaint is that they were heavy on the OJ, but besides that everything else about our experience was great!